In every closet there is at least one because it is like a hug that no one can deny: it is the classic French terry hooded cardigan with added ears. 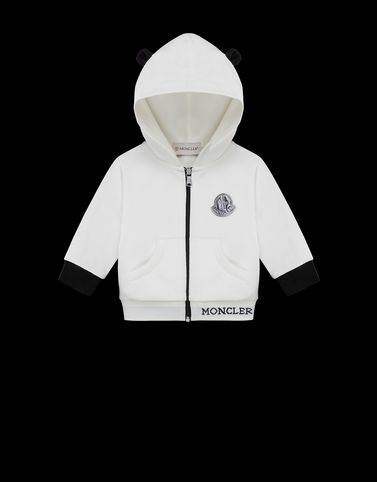 For Moncler it becomes more eye-catching with the laminated logo reminiscent of the high-tech apparel for adults. Perfect for little boys who already know what they want.